Welcome back to the December of 1999! Arcade games were not developed in so big numbers as before, but Capcom was still supporting the Arcade market with their many fighting games and also a few beat’em ups & shoot’em ups. 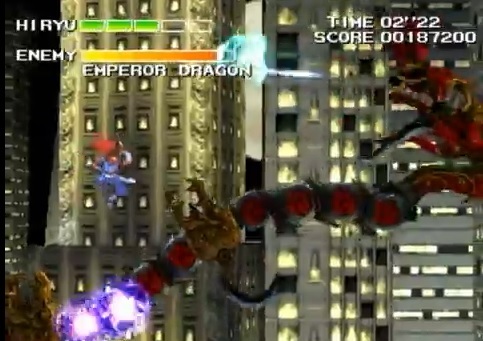 One of their more unique games, Strider a 2D action platformer was released around 10 years ago, and someone and Capcom headquarters must have believed it would be a good time to re-launch the series with a new game and Strider Hiryu, the main protagonist being one of the Marvel vs Capcom characters as well. 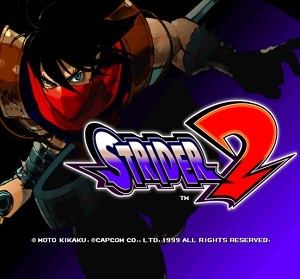 Strider 2 followed the old formular of fast arcade action, big bosses and the Ninja vs an Army of robotic animals and other foes but used the modern technology to add zoom effects and 3D model based stages and enemies to the 2d gameplay. 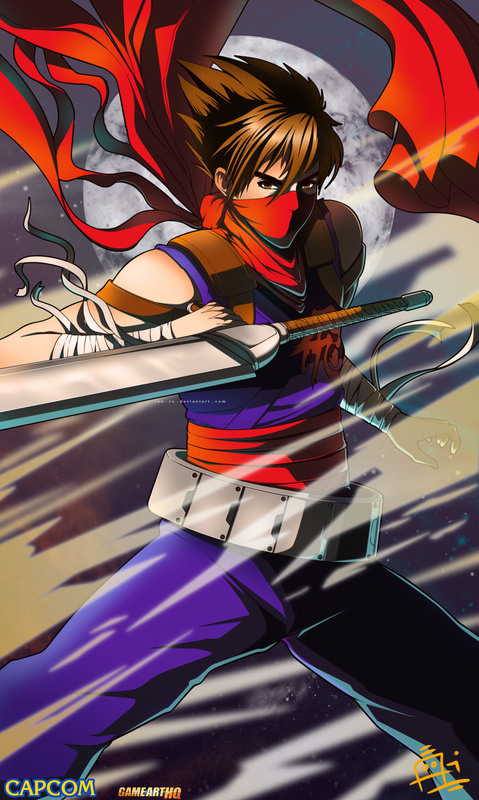 Strider Hiryu himself was still drawn but got a design update which gave him a more modern look of a ninja. The Playstation version of Strider 2 is full of unlockable stuff including a bonus level and also the unlockable character Strider Hien who is a boss in the normal playthrough of the game. Strider is a great game which i totally recommend to everyone who can stand 32bit technology graphics and cares mostly about the gameplay. Strider 2 was released on the 13th December 1999 on a Sony ZN-2 Arcade system which made a port to the Sony Playstation in February 2000 very easy. The game was released in July 2000 in the USA, the European version followed in December 2000. Strider 2 is still exclusive to the PSX and the Arcade version and was never re-released for newer platforms so far while Nintendo 64 and Sega Dreamcast versions were once planned. This is the first Strider Series related featured Fan Art as part of the Blast of the Past Articles.